The book traces the passage of the author’s ancestors from their German homeland through the family’s multigenerational struggle to survive abuse and betrayal. Relating personal accounts of familial interactions verifies and endeavors to explain evil and horrific episodes committed by family members, who had vowed to love and protect each other. This book was written to help explain why such events occur and to soften the pain for others when they may encounter such events. 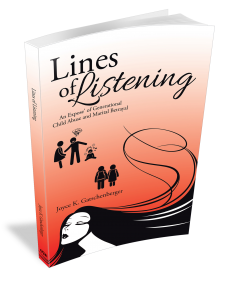 In this follow-up to Lines of Listening, a memoir detailing generations of child abuse and marital discord, author Joyce K. Gatschenberger offers readers a fictional continuation of an already gripping ancestral drama. William and Kaye Henry have what, on the surface, looks like a good marriage. Together, they raised three children, and they have a bright granddaughter, Dove-Whispering, whose inquisitive spirit will prove to be heartbreaking—yet redemptive. After William’s death from cancer, it’s discovered that he was involved in multiple affairs through his two-decade-long military career. In fact, when he retired and took a civilian job out of state, one such relationship resulted in an illegitimate child, Dacia. William took his secret—and the knowledge of a hidden bank account—to the grave. Incredibly, Dacia and Dove-Whispering meet in high school—while working together on a fortuitous genetics project that becomes a posthumous indictment of William’s betrayal. 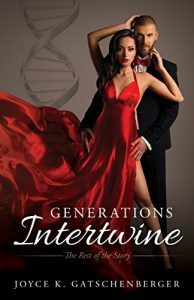 Like strands of DNA, William’s double lives eventually become so intertwined that his secrets come to light. William may be gone, but the shocking truth will affect generations to come. This manuscript shares an unimaginable tale of deception and betrayal. Sometimes accepting the consequences that reveal deep, dark family secrets can rattle your biological skeletons. Follow the next generation of the Henry family as they struggle through a lineage of hidden money, lies, secret adoption, death and scientific inquiries. Copyright © 2015. Joyce K. Gatschenberger. All rights reserved.